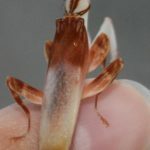 The Jungle Nymph, or Heteropteryx dilatata, is the heaviest of all stick insects. 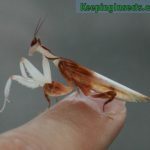 Only females of this species get this big. 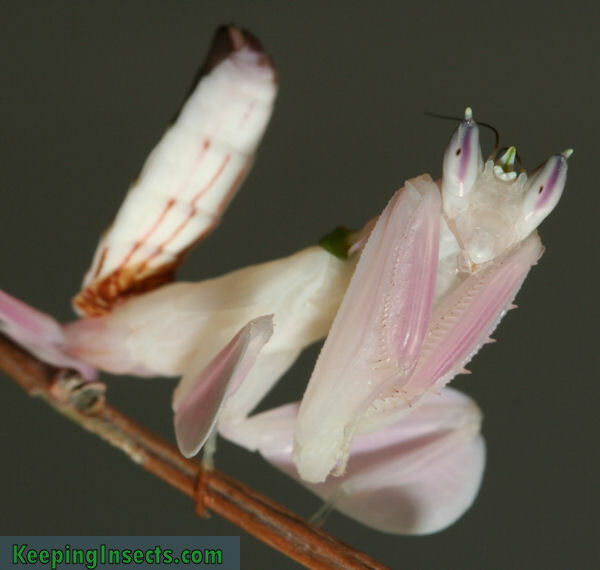 Females are bright green and can live up to 2 years. 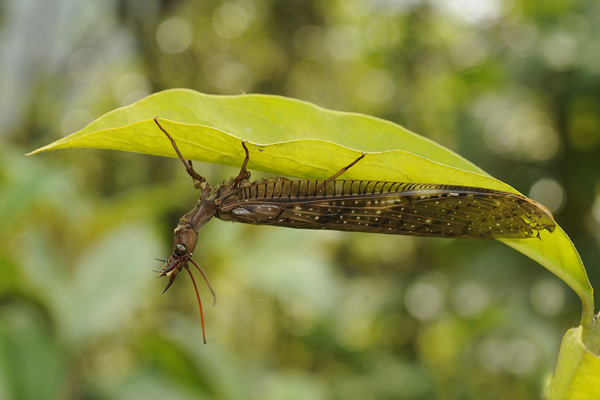 Heteropteryx dilatata occurs naturally in Malaysia. 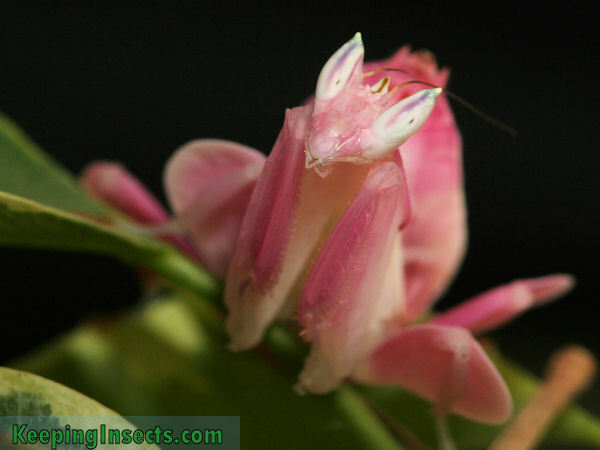 Read more about this species here: Jungle Nymph. 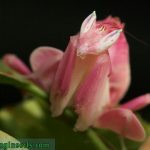 The orchid mantis is one of the most amazing praying mantis species in the world. 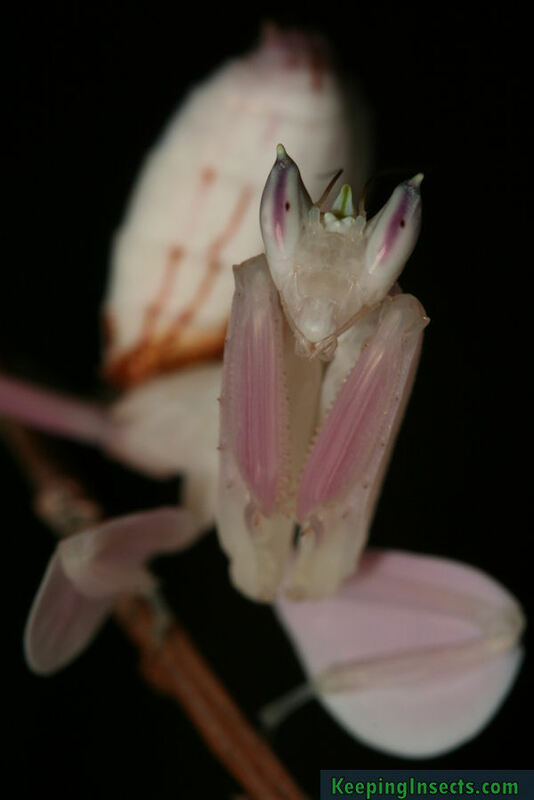 It is amazing because of it’s bright pink and white colors. 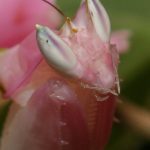 You would think that an insect does not want to stand out – you know, danger of being eaten by a bird, chameleon or other insect-eating animal. Dressing in bright pink might not be the best choice then. 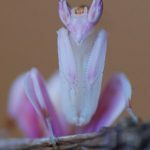 But as soon as you see it, you will realise that this praying mantis has another plan… it mimics a flower making it perfectly camouflaged for anything that is not looking for a flower to eat. 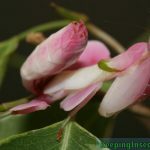 Next to the colors the body shap is made just like a flower. 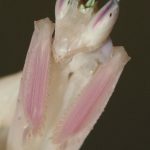 The legs have big round petal-like shapes on them, the body has a little green stripe making the body outline looking less like a bug. 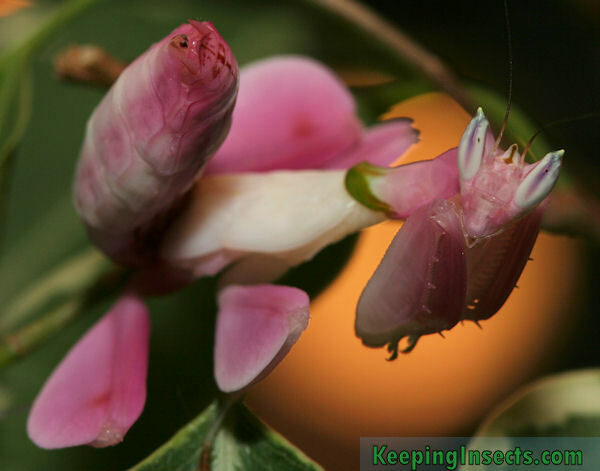 The mantis keeps her arms tucked in, helping to keep the non-insect look. 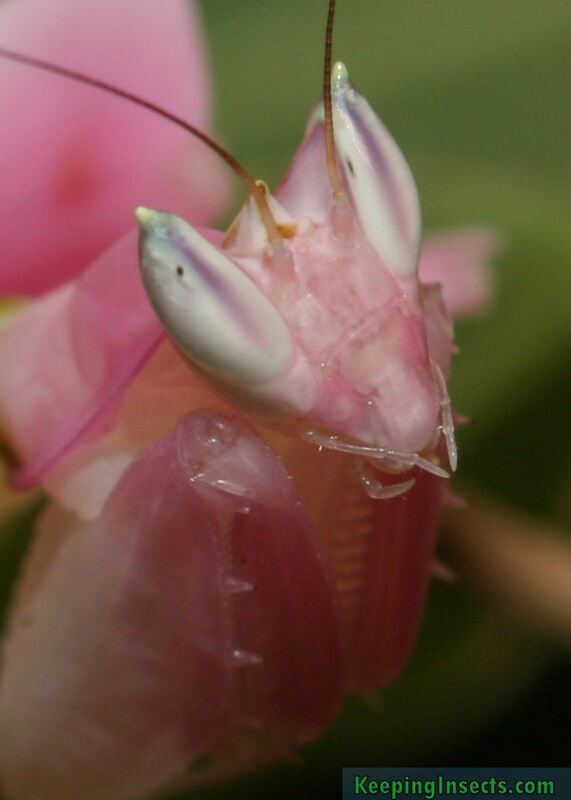 Animals that are looking for a tasty bug will not look too closely at flowers. 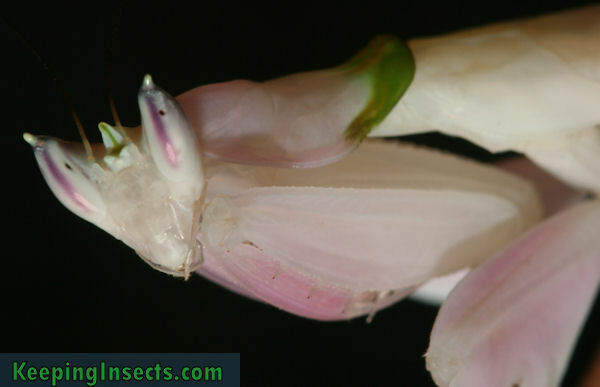 And little insects looking for a flower? 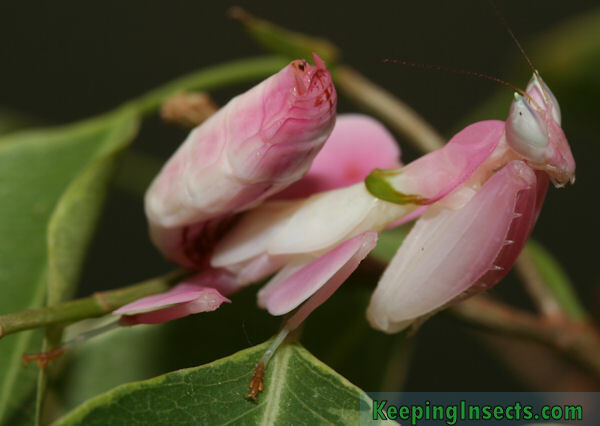 They will be eaten by the praying mantis. 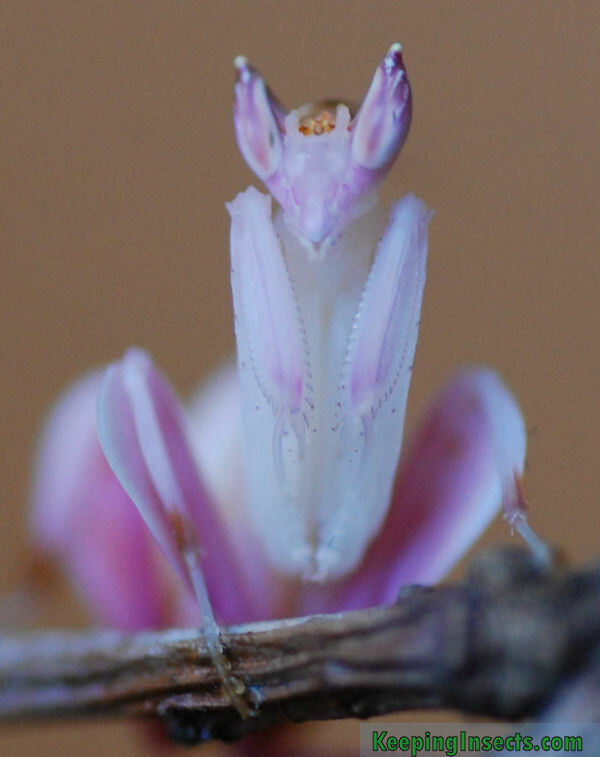 The females of the orchid mantis are the pretty ones. 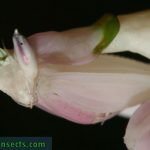 The males are small and lack color, but the females are big, bright pink with white and their legs look like flower petals. 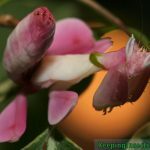 Click on a picture to see it enlarged. 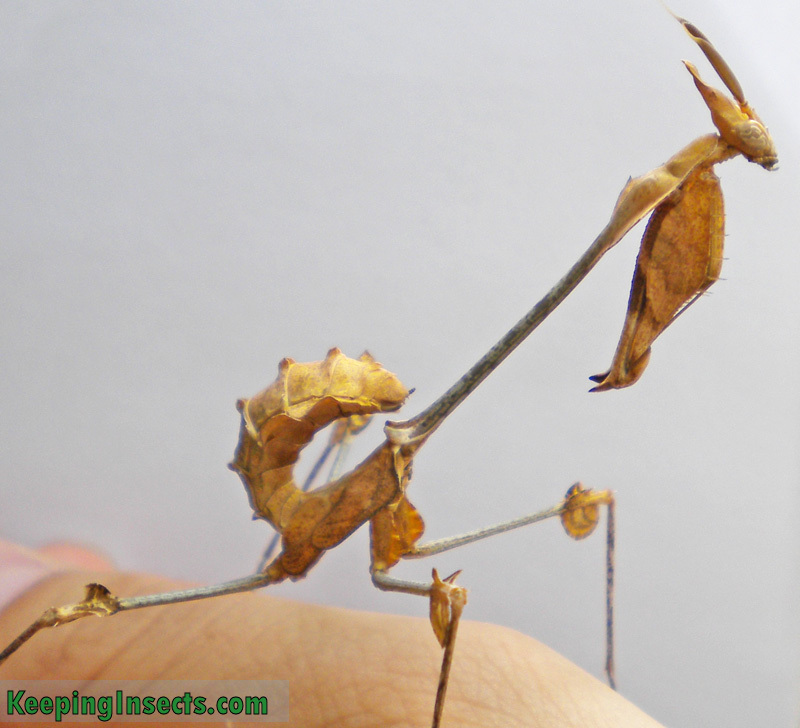 Ever heard of the Wandering Violin mantis? 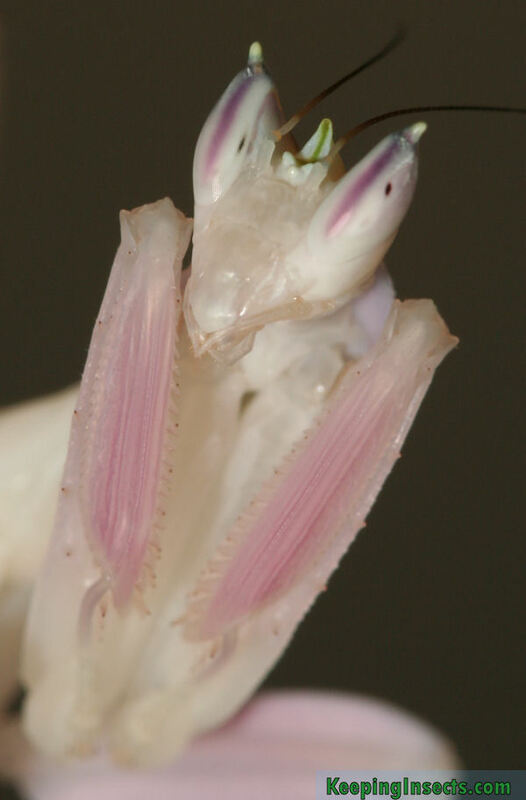 It’s a mantis species that has a bizarre body. 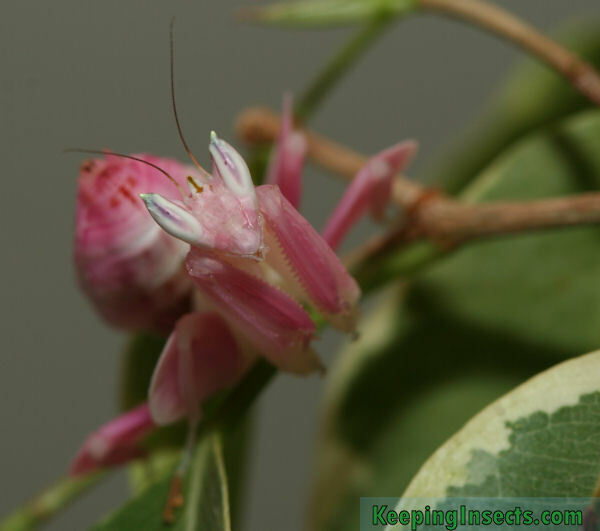 It has a normal head and abdomen, but in between there is a huge stretch of body that only serves as camouflage. 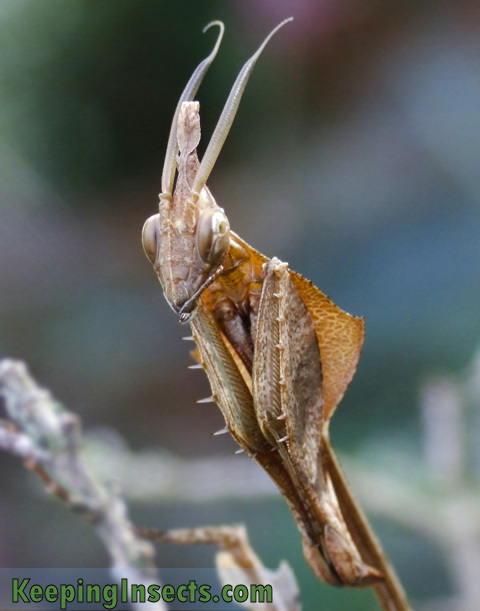 It breaks up the normal body shape of an insect, making it harder for predators to recognize this mantis as a tasty bite. 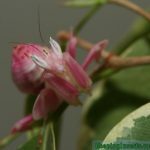 The rest of the body is also very well camouflaged. 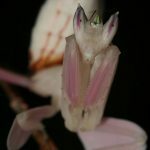 Check out more about the Wandering Violin Mantis on it’s own page. 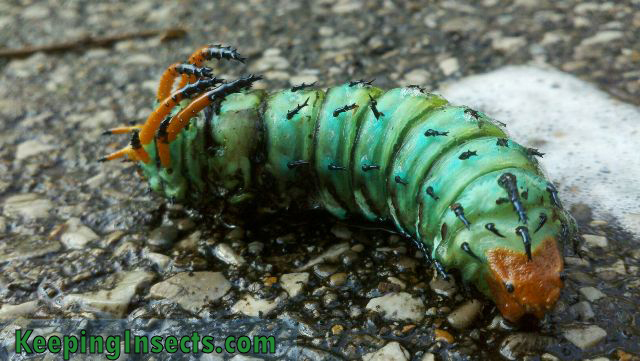 It’s the largest caterpillar species in North America, growing to about 6 inches. Right now they are leaving their trees to dig a hole in the ground where they will pupate. 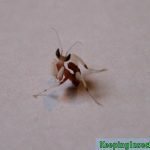 As a pupa they will survive the winter to emerge as a regal moth next spring. 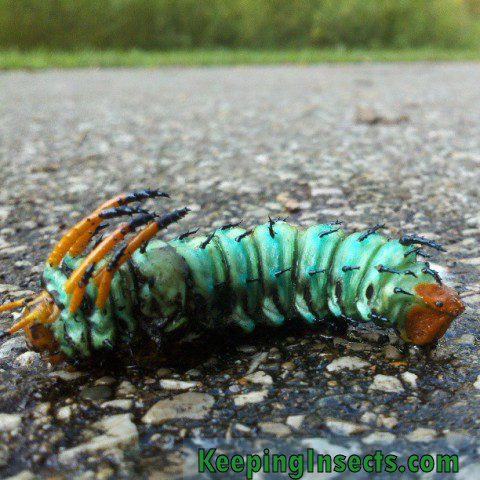 Hickory horned devils are greenish blue in color with large orange spikes near their head and smaller black spikes all over their body. When they are born they are completely black but already have their spikes. 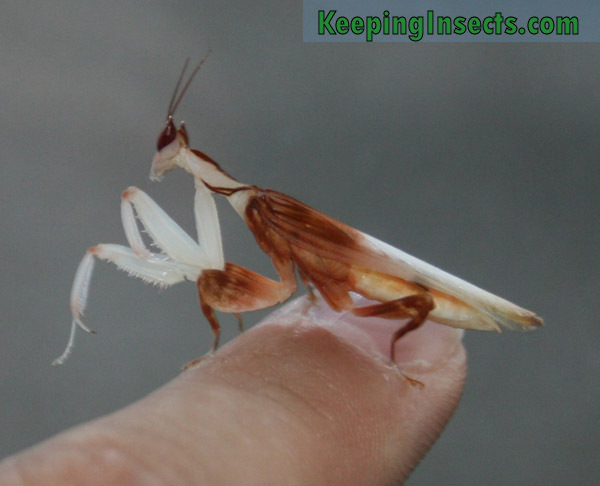 They are completely harmless to humans. 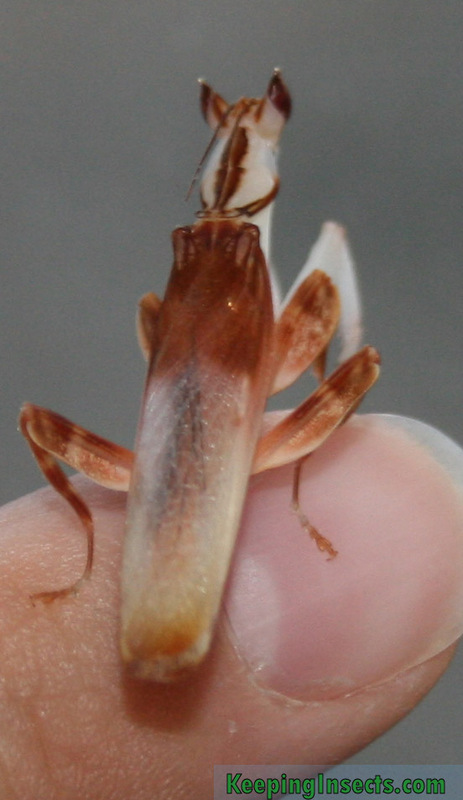 Reader’s question: What is THIS? 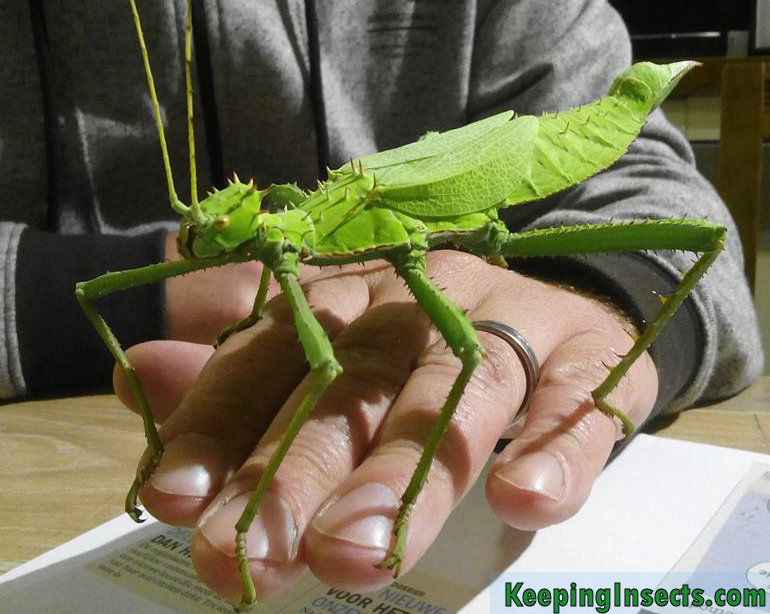 It took some research, but this monstrosity is an Amazonian Giant Lacewing. 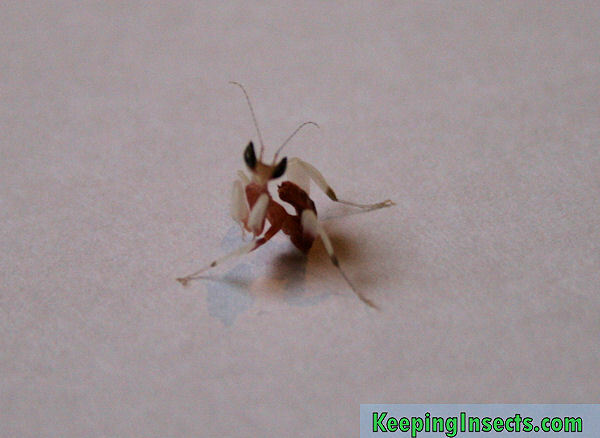 As the name suggests, it is a species in the family of lacewings (Chrysopidae), order Neuroptera. 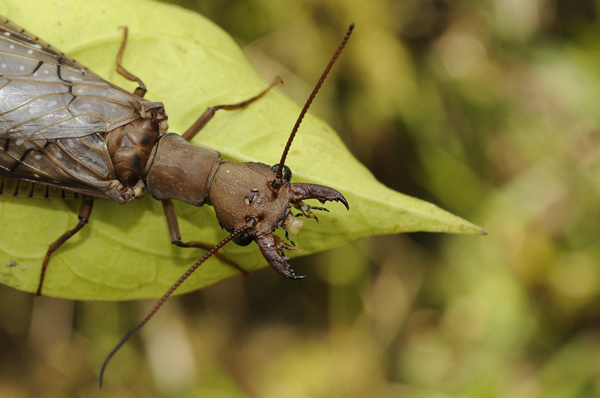 It occurs all over the Amazonian rain forest and feeds of bugs and their eggs.